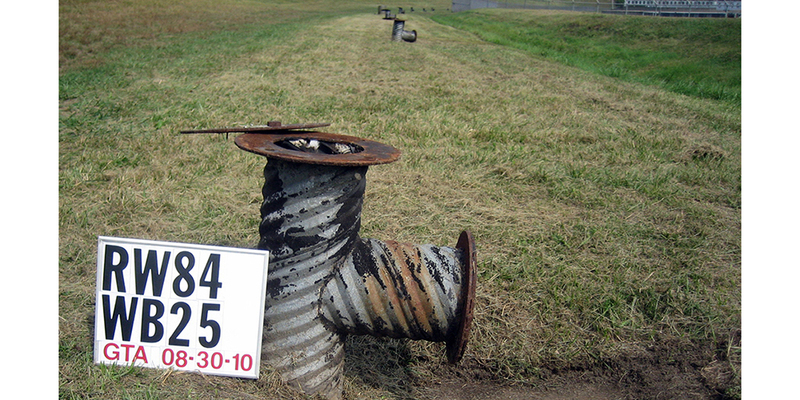 Levee Relief Well Testing & Rehabilitation Services | Geo-Technology Associates, Inc. Hydraulic testing of new wells for baseline performance data generation. Removed sediment that had accumulated at the bottom of relief wells using an air-lift system designed by GTA. Performed step-drawdown pumping tests to estimate 24-hour specific capacity for each well. 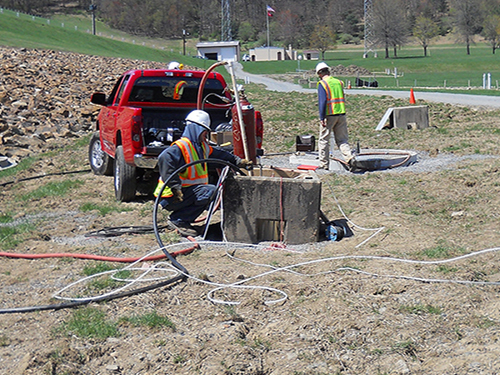 Down-hole video observation to evaluate the condition of well casing and screen. The results of GTA’s testing and evaluation were submitted to the United States Army Corps of Engineers for their determination of additional rehabilitation measures, as may be applicable. 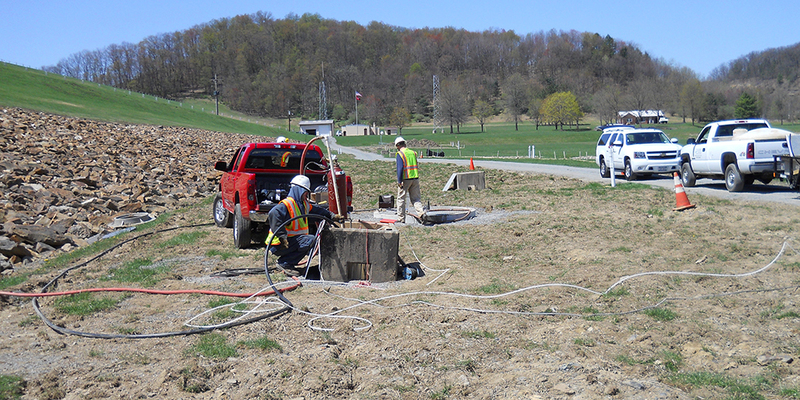 GTA performed inspection and testing of 128 relief wells located on the land side of the flood control levee system along the Susquehanna River. 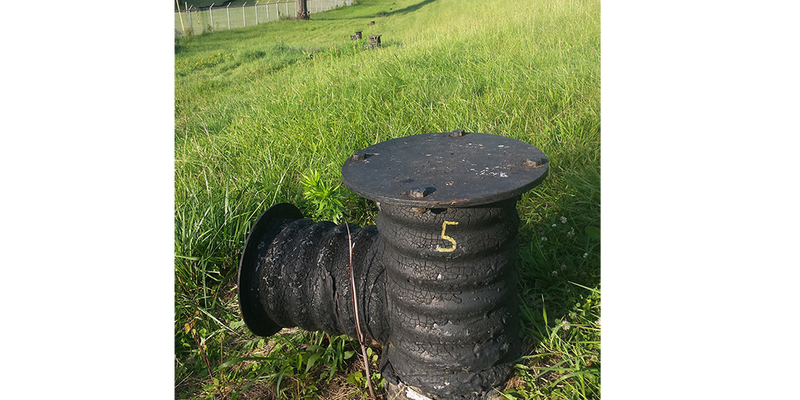 The relief wells are positioned at the toe of the levee and are designed to relieve hydrostatic pressure in the levees during flood conditions. 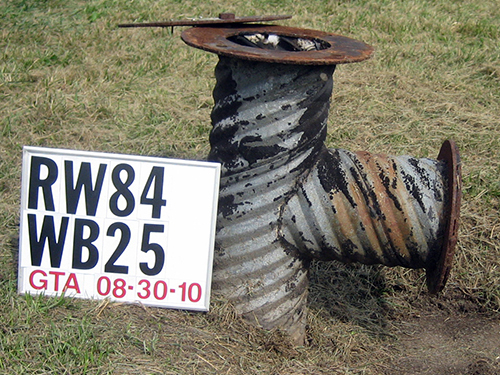 The majority of the wells are located in open grass areas, with some located on gravel roads and parking areas near maintenance buildings and other facilities. GTA provided visual wellhead inspections and conducted hydraulic testing at 128 well locations across the project area. GTA compiled and analyzed all data, and reported wellhead condition observations, pump testing data, turbidity measurements, and estimated 24-hour specific capacity for each well meeting the criteria for specific capacity calculation. Performed wellhead visual inspection and wellhead photo documentation. 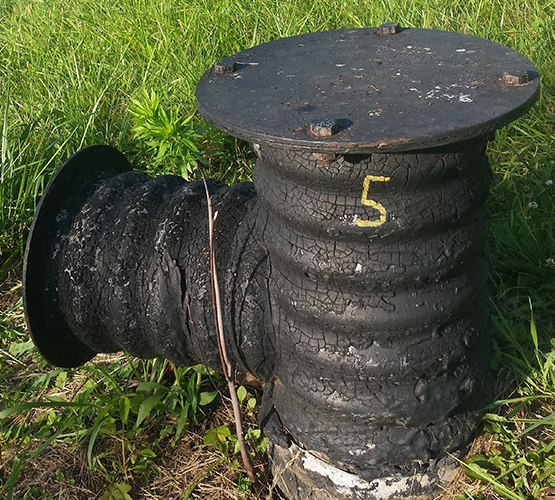 Performed pre-rehabilitation flushing and limited sediment removal in preparation for video inspection of the wells. Managed pre-rehabilitation downhole video inspection of 24 relief wells. Managed subconsultant utilizing Hydropuls® impulse generation technology in conjunction with GTA’s pumping and air lifting to rehabilitate the shallow and deep relief wells. GTA and subconsultant conducted pre- and post-rehabilitation specific capacity testing of four shallow wells, and two deep wells. Conducted post-rehabilitation recharge testing of the 34 relief wells. Conducted post-rehabilitation 8-hour pump tests on 4 relief wells. Compiled and managed all relative data, and submitted final report to USACE.